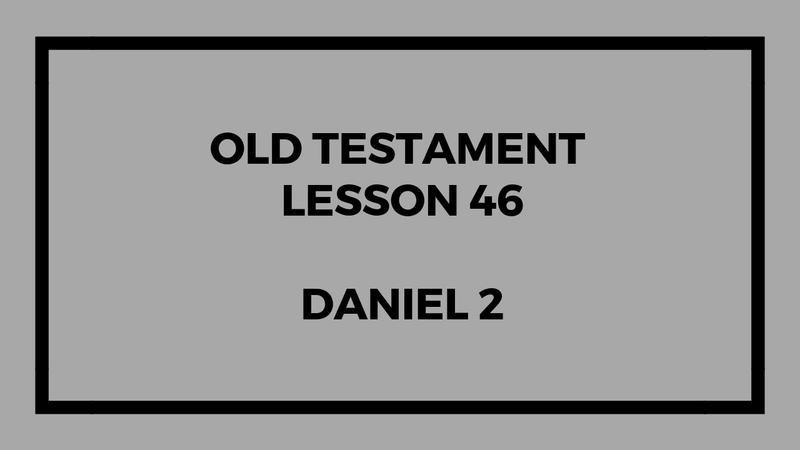 This lesson is about the Book of Daniel in the Old Testament. — But ONLY Daniel Chapter 2. We don’t talk about any other chapter in this episode, just Daniel 2. I believe there is very valuable information contained in the Book of Daniel in the Old Testament. Do you? What do you find here that is compelling? We are almost done with the Old Testament lessons, only 2 lessons left. This entry was posted in Gospel Doctrine Helps and tagged 2018 old testament class, gospel doctrine, gospel doctrine class, gospel doctrine helps, lds, lds church, LDS Sunday School, mormonism, old testament, Old Testament Gospel Doctrine, Old Testament Lesson 46 on November 19, 2018 by admin. 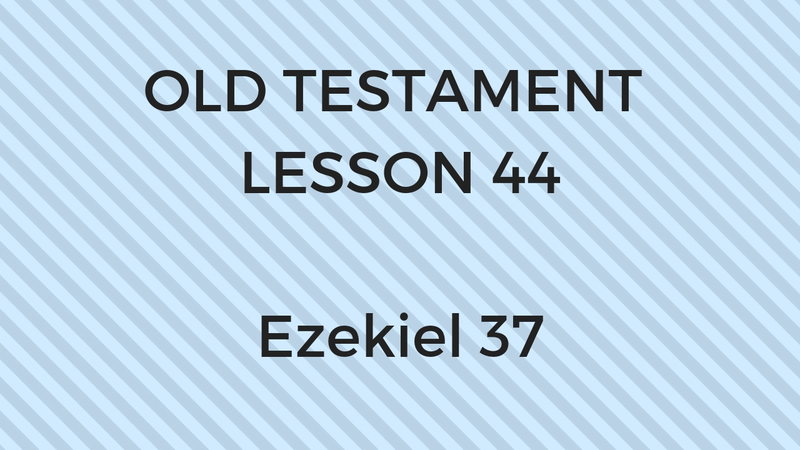 This lesson is about Ezekiel 37 in the Old Testament. In this episode, we review just chapter 37 of Ezekiel in the Old Testament. We are almost done with the Old Testament lessons, only 4 lessons left. This entry was posted in Gospel Doctrine Helps and tagged 2018 old testament class, every thing shall live whither the river cometh, Ezekiel 37, gospel doctrine, gospel doctrine helps, old testa, Old Testament Gospel Doctrine, old testament lesson 44 on November 6, 2018 by admin. 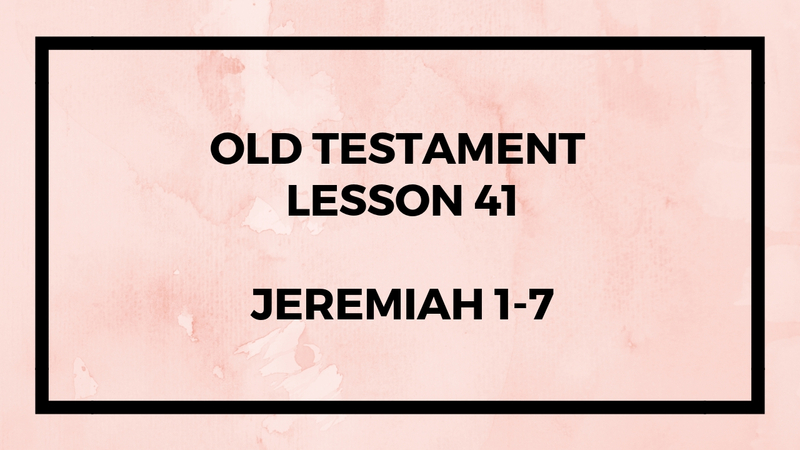 This lesson is about Jeremiah chapter 1-7 in the Old Testament. You should be happy now that we are done with Isaiah. Although, quite frankly, I love Isaiah. In this episode, we review just the beginning of the book of Jeremiah in the Old Testament. We are almost done with the Old Testament lessons, only 7 more to go and we’re done for the year! This has been both a good experience and a bad experience for me. Honestly, it is hard to do these sometimes. I’m unsure whether I will do more. We’ll see. This entry was posted in Gospel Doctrine Helps and tagged 2018 old testament class, gospel doctrine, gospel doctrine class, gospel doctrine helps, I Have Made Thee This Day … an Iron Pillar, Jeremiah 1-7, Old Testament Gospel Doctrine, old testament lesson 41 on November 2, 2018 by admin. 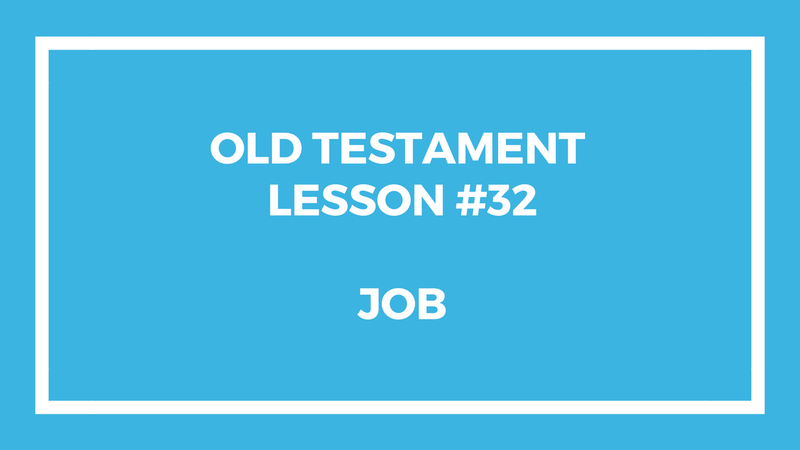 This lesson is about the Book of Job in the Old Testament. We really just look at the beginning and the end of the book. I tried to keep it nice and short. This entry was posted in Gospel Doctrine Helps and tagged Book of Job, gospel doctrine, gospel doctrine helps, I Know That My Redeemer Liveth, LDS Sunday School, Old Testament Gospel Doctrine, Old Testament Lesson 32 on August 6, 2018 by admin.